Her peers are so not happy with her most recent comments - and are sharing their disdain on Instagram Stories. Remember when Kendall Jenner got into hot water over that 2017 Pepsi ad where it seemed that she was solving police brutality by handing out fizzy drinks? Well, this time she’s put her foot in it again, but this time for something she said in an interview. “Since the beginning we’ve been super selective about what shows I would do. I was never one of those girls who would do like 30 shows a season or whatever the f*&% those girls do. More power to ‘em. But I had a million jobs, not only catwalks but everything else. The whole combination was very overwhelming and I started to freak out a little bit and needed to take a step back,” says the 22-year-old. Now “those girls” are expressing their unhappiness at Kendall’s comments, pointing out that not everyone has the luxury to turn down work. 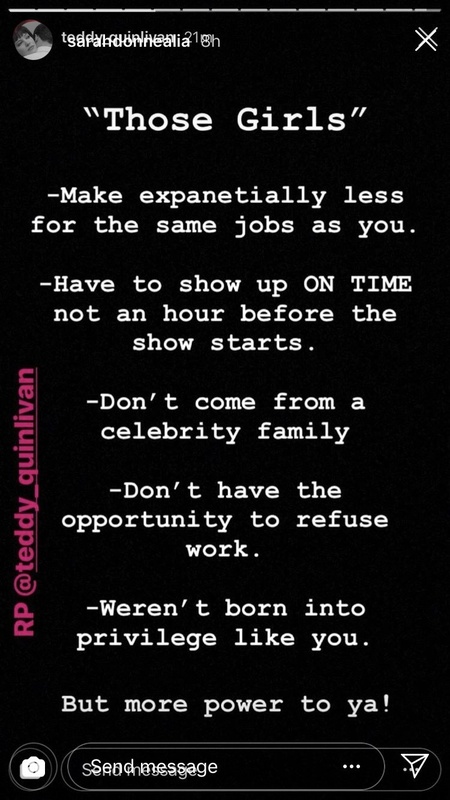 Another model, Sarah Brannon reposted a comment from model Teddy Quinlivan’s story, noting that most models don’t begin with the same level of privilege or wealth Kendall did. 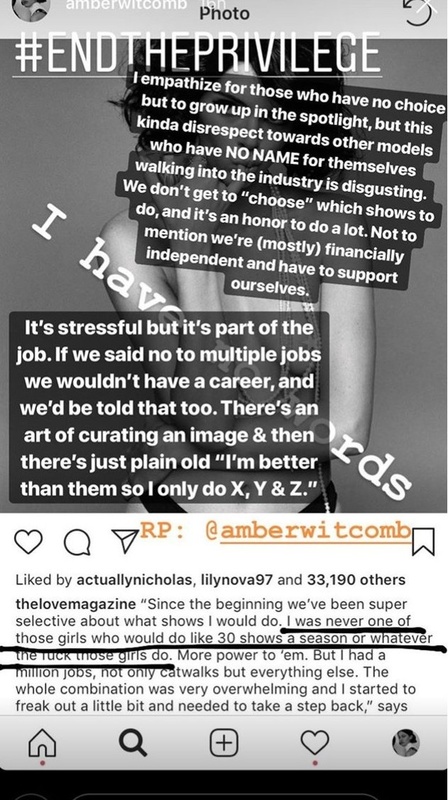 Model, Amber Wotcomb also posted about Jenner’s comment to her story, noting that her words were plain disrespectful. We totally get what these models are saying. The young model, however talented, however beautiful and intelligent, had a massive leg up when she entered the world of modelling. Her wealth and family's famous name positioned her well in the world of fashion. That she cannot deny. She has always been in a very privileged position, while most other models have to do whatever it takes to get on top. And while we’re not denying that Kendall works hard, she’s not exactly going to have to worry about being evicted for not being able to pay rent.